Peter Langley, Senior Designer at Langley Interiors, shares his expertise on bathroom design trends, what to look out for and how home owners can create an on-style bathroom in their home in 2017. 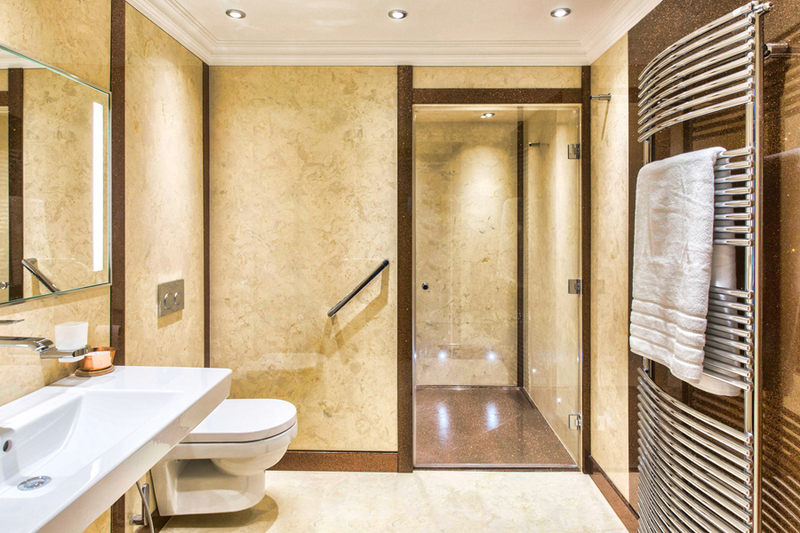 Stone resin panels are a modern, sleek alternative to traditional tiles and are fast becoming a popular choice in the bathroom. Panels made from a durable material such as stone resin are incredibly hygienic and will future proof a bathroom for thirty years plus. Versital’s high quality stone resin shower panels are 100% waterproof and stain resistant, keeping your bathroom looking as good as new for years to come. 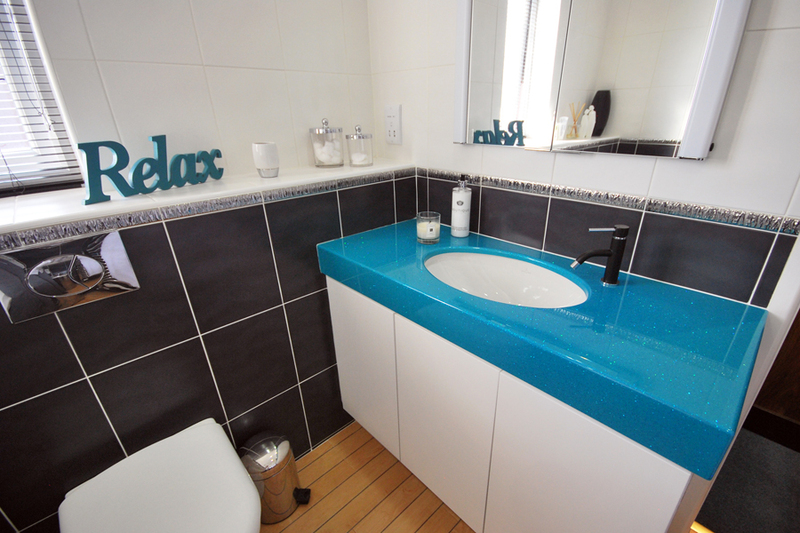 Colour scheme is an important aspect of bathroom design, and not just for its aesthetics. Home owners can use colour scheme to their advantage, especially if they are keen to maximise space in a smaller bathroom. Whilst also creating a light, airy space, using glossy finishes and light colour schemes in a bathroom’s design can help to create the illusion of space. Opt for a brightly coloured vanity top or other feature in the bathroom to keep it fresh and exciting. Earthy shades and natural tones and materials are finding their place in the bathroom and the trend is likely to grow after the announcement of Pantone’s ‘Greenery’ 2017 Colour of the Year and the concept of bringing the outside in. Natural materials like marble, stone and granite add real character to a bathroom but can be a real nuisance to upkeep. Marble especially is prone to staining and is not fully water-resistant, making it impractical for bathroom design. Fortunately, true to life marble surfaces have emerged on the market, and offer all of the beauty of the natural material with none of the issues. At Langley Interiors we work exclusively with Versital surfaces who offer a high quality stone resin that looks just like the real thing. Turn your ordinary shower enclosure into a wetroom no matter how small it is. How you say? 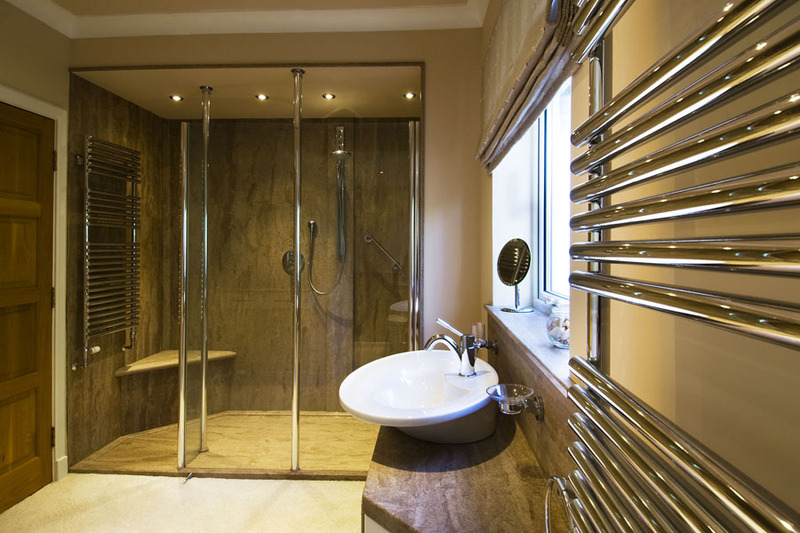 These bathroom transformations can be achieved in even the smallest or most awkwardly-shaped bathrooms, thanks to bespoke shower trays and matching shower panels which create a coordinated, high end hotel look. 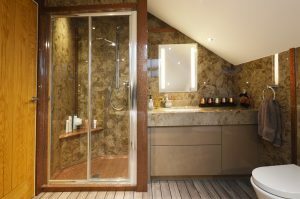 For added impact, ask for a solid, steam room style bench or corner seat to be installed in your shower enclosure to create a relaxing atmosphere. This will feel like a real luxury – especially if you don’t have room for a bath. With a bespoke shower tray the shape, size, dimensions and even the waste position can be made to specification to create a statement shower space in any bathroom – even where a bath once stood. Langley Interiors offers a fully comprehensive design and installation service for bathrooms, including master bathrooms, en suites, wet rooms, mobility bathrooms and WCs. For advice or an appointment with senior designer Peter Langley please get in contact, or call us on 01204 525432.